Fort Rox is a location in the Varmint Valley region requiring a minimum rank of Baron or Baroness to enter. It also requires the purchase of the Fort Rox Battle Summons from the Claw Shot City Cartographer. During the Day Hunters will encounter mice that are primarily weak to Law weapons and attracted to Standard Cheese and SUPER|brie+. These mice drop Meteorite Pieces used for building the Basic Wall and for repairing any damage to the Wall done during the Night. Hunters can make upgrades to their Fort during the Day using materials gathered during the Night. Hunters must build a Basic Wall before they can defended the Fort by hunting during the Night. Mice found during the Night are weak only to Arcane and Shadow weapons and have a preference for Crescent Cheese or Moon Cheese, though Standard Cheese and SUPER|brie+ may be used to lesser effect. The Night is divided into 6 phases: Twilight, Midnight, Pitch, Utter Darkness, First Light, and Dawn. The goal for Hunters is to survive the first 5 stages of Night and reach Dawn, where the Monster of the Meteor may be encountered. Mice encountered at Night will damage the Hunter's Wall and when its Health reaches 0, the Hunter will be moved back to Day. Materials found during the Night may be used during the Day to upgrade the defensive features of the Hunter's Fort. Hunters must acquire the Fort Rox Portal Projector and enter the Dawn phase of Night to be able to access the Heart of the Meteor. Sunrise Cheese is required to attract the Heart of the Meteor mouse, the only resident of the Heart of the Meteor. Entering the Heart of the Meteor consumes the Fort Rox Portal Projector and capturing the Heart of the Meteor mouse returns Hunters to the Dawn phase of Night. The HUD shows the Hunter's Fort and the various defensive features. When Hunters first enter Fort Rox the various defensive features are shown as dotted outlines which are replaced with images of the features as they are built and upgraded. Defensive features can only be upgraded during the Day. The Upgrade interface may be opened by clicking on a defensive feature or by clicking on the Upgrade button found at the bottom center of the HUD. Selecting Defend Fort will allow Hunters to enter the Night. During Night, the current phase of the night and the number of hunts remaining until Dawn are shown at the top of the HUD.. When Dawn is reached, the anger level of the mice and the damage modifier are shown at the top of the HUD. Hunters can choose to retreat while hunting at night and any remaining wall health will be preserved. The option to retreat is not available during Dawn. Using the HUD, Hunters are able to open the Upgrade interface and construct five different defensive features to help them defeat the mice found during the Night. The upgrade interface tracks the Hunter's inventory of Meteorite Pieces, Howlite, Bloodstone, Tower Mana, and Dawn Dust. Each of the defensive features can be upgraded to provide greater benefits and effects. Upgrades for the individual defensive features must be made in order. The effects of each upgrade combine with those of previous upgrades, except for the Wall and Moat. Example: It is not necessary to complete any Wall upgrades to make a Moat upgrade, but it is necessary to make the Small Moat upgrade before the Big Moat upgrade can be made. Fort defensive features (except the Mage Tower) have no effect during the Day. Upgrades may only be made during the Day. Bigger and better walls have higher maximum health. If your wall falls, you'll have to retreat and repair it before returning to defend your fort. Upgrades must be made in order and the effects of each upgrade combine with those of previous upgrades. The Basic Wall is required before Hunters can defend the Fort at night. Mice during Night can damage the Hunter's Wall and Meteorite Pieces are required to repair the damage. Damage to the Wall may only be repaired during the Day. Cost: 50 Meteorite Pieces and 30,000 gold. Cost: 15 Howlite and 45,000 gold. Cost: 40 Howlite. 20 Bloodstone, and 98,000 gold. Cost: 150 Howlite, 75 Bloodstone, and 128,000 gold. The Ballista will boost your effectiveness against Weremice, most commonly found during Twilight and Midnight. Decreases the power of Fort Rox Weremice by 50%. Cost: 1 Howlite and 30,000 gold. Provides a chance to instantly capture Fort Rox Weremice. Cost: 25 Howlite and 45,000 gold. Instantly defeats the Nightmancer Mouse. Cost: 100 Howlite, 20 Bloodstone, and 98,000 gold. The Cannon will boost your effectiveness against Cosmic Critters, most commonly found during Utter Darkness and First Light. Decreases the power of Fort Rox Cosmic Critters by 50%. Cost: 20 Howlite, 5 Bloodstone, and 30,000 gold. Provides a chance to instantly capture Fort Rox Cosmic Critters. Cost: 30 Howlite, 15 Bloodstone, and 45,000 gold. Instantly defeats the Nightfire Mouse. Cost: 50 Howlite, 60 Bloodstone, and 98,000 gold. The Moat reduces the amount of damage your wall takes during the night. Reduces damage your wall receives by 1. Cost: 10 Howlite and 30,000 gold. Reduces damage your wall receives by 2. Cost: 35 Howlite, 2 Bloodstone, and 45,000 gold. Reduces damage your wall receives by 3. Cost: 100 Howlite, 50 Bloodstone, and 98,000 gold. The Mage Tower can be enchanted with special abilities. While active, it'll use 1 Tower Mana per hunt and apply all unlocked abilities. The Mage Tower may be used during both Day and Night, though its effects provide the most benefit during the Night. Tower Mana is required to use the Mage Tower. Doubles loot drops when Meteorite Piece, Howlite, or Bloodstone is found while the Mage Tower is active. Adds a chance to instantly capture any mouse while the Mage Tower is active. Cost: 15 Tower Mana, 1 Howlite, and 40,000 gold. Heals your wall by 1 health after every hunt while the Mage Tower is active. Cost: 30 Tower Mana, 10 Howlite, 1 Bloodstone, and 50,000 gold. Reduces hunts until dawn by 2 after every hunt while the Mage Tower is active. Cost: 50 Tower Mana, 10 Bloodstone, 1 Dawn Dust, and 90,000 gold. Mice found during the Day are primarily weak to Law weapons, though Shadow and Arcane weapons can be used to lesser effect. Standard Cheeses and SUPER|brie+ are preferred by mice during the Day, but Crescent Cheese and Moon Cheese will attract mice at a lower rate. Mice found during the Day drop Meteorite Pieces and Tower Mana. The Hunter's Fort defenses can only be upgraded during the Day. The Ballista, Cannon, Wall, and Moat defenses have no effect while Hunting during the Day. During the Day Hunters will attract mice that drop Meteorite Pieces used to build the Basic Wall and to repair any damage the wall receives while hunting during the Night. Hunters must build a Basic Wall before they can hunt during the Night. The Mage Tower can be activated during the Day to take advantage of the Spotlight Enchantment which will provide double Meteorite Piece drops, and the Power Enchantment which provides a chance to instantly capture any mouse. The Healing Enchantment and Sunsphere Enchantment have no effect when hunting during the Day. Tower Mana is consumed on every hunt while the Mage Tower is active. The mice found during the Day in Fort Rox are primarily weak to Law weapons. Arcane and Shadow weapons are less effective. Standard Cheese will attract all mice found during the Day. SUPER|brie+ will improve the attraction rate of the Mining Materials Manager. Crescent Cheese and Moon Cheese will attract mice during the Day, but at a lower rate than Standard Cheese and SUPER|brie+. "This is my fort, I have to defend it." "I've done what I can to ready my fort and I am now ready to fight." "I await nightfall to face the hordes of Meteorite Miners and stand against them for as long as I can!" Mice found during Night are weak only to Arcane and Shadow weapons. Crescent Cheese and Moon Cheese are preferred by mice at Night, but Standard Cheese and SUPER|brie+ will also attract desirable nightmice at a lower rate. Mice found during the Night drop Meteorite Pieces, Tower Mana, Howlite, Bloodstone, and Dawn Dust. These items are primarily used to upgrade the Hunter's Fort defenses. The Hunter's Fort defenses can only be upgraded during the Day. "Are you prepared to defend your fort?" "Once night falls, an unending horde of terrors will descend." "Defend your fort and survive as long as you can!" "Spend [X] Meteorite Piece(s) to repair to full health?" This message is shown only when a Hunter attempts to enter night with a damaged wall. Checking the box in front of this message will spend the Meteorite Pieces necessary to bring the wall to full health. Hunters defend their Fort by hunting during the night and reaching Dawn. As hunters progress through the night, their wall will take damage. When the wall's health is reduced to zero, Hunters will be moved back to Day. The goal is to reach Dawn with enough wall health left to successfully hunt the Dawn Destroyers. Each phase of the night has a specific length and every hunt made will cause the Hunter to progress toward Dawn. The total length of the 5 phases of Night is 130 hunts. Failing to capture a Nightmancer Mouse will extend the length of the night by 3 hunts. An active Mage Tower with the Sunsphere Enchantment will reduce the hunts until Dawn by 2 after every hunt. Weremice are still the most abundant mice, but Cosmic Critters begin to appear. Cosmic Critters are now the most abundant mice, but Weremice may still appear. "I've made it to dawn. Now the real fight begins." "I must face off with the Monster of the Meteor in order to keep Varmint Valley safe!" Dawn - No set length. Hunters may hunt here until their wall is reduced to zero health. Heart of the Meteor - No set length. Hunters must enter Dawn and posses a Fort Rox Portal Projector to enter this phase. The Heart of the Meteor is the only mouse found in this phase. Sunrise Cheese is required to attract the Heart of the Meteor mouse. Capturing the Heart of the Meteor will return the Hunter to the Dawn phase. Fort defenses have no effect and Tower Mana cannot be armed. Wall health is not affected in this phase. The Basic Wall is required before Hunters may defend the Fort at night. When the Wall is reduced to zero health, Hunters will be moved back to Day and the Wall will need to be repaired using Meteorite Pieces before Hunters can hunt during the Night again. The Wall's health determines how long Hunters will be able to survive during the night. It is not possible to partially repair a wall, but Hunters may enter night with a partially damaged wall that is not at full health. Mice encountered during the Night will damage the Hunter's Wall under certain circumstances. When Hunters reach Dawn each catch of a Monster of the Meteor will multiply the damage effects to the wall by an additional 100%. Any FTC of a Monster of the Meteor or Dawn Guardian will result in greater damage to the Hunter's wall. Damage from encountering a Battering Ram Mouse is not multiplied. Shielding Charms can be used to prevent mice from stealing gold, points, or cheese and causing a red box FTC. The amount of damage this prevents can be significant when the damage multiplier is high. 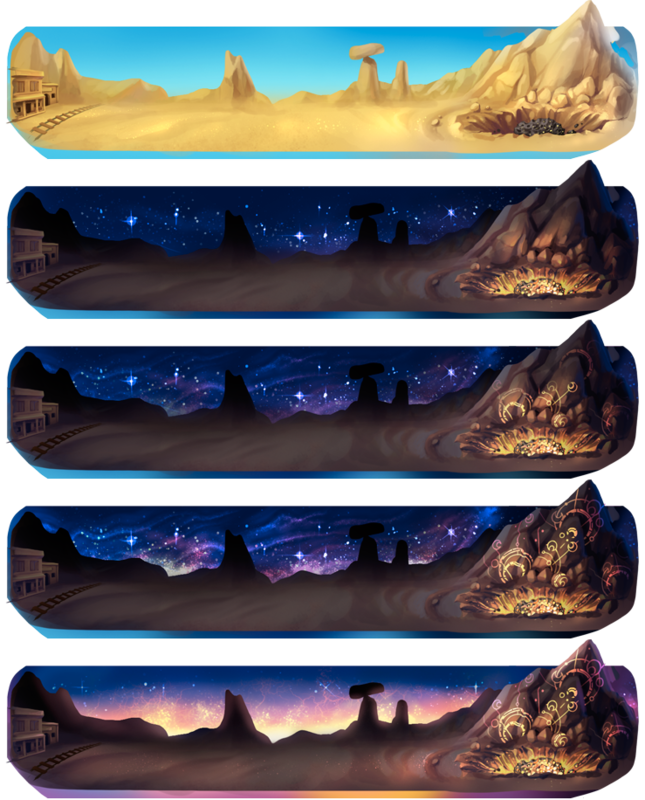 These defenses can be built and upgraded to obtain special hunting bonuses and effects during Night. None of these defenses are required for defending the fort at night, but they improve the Hunter's chances to reach Dawn. These defenses are not damaged while hunting and will not need to be repaired after hunting during the night. Building and upgrading of defenses can only be done during the Day. The effects of each upgrade combine with the effects of earlier upgrades. Basic Ballista - Decreases the power of Fort Rox Weremice by 50%. Silver Ballista - Provides a chance to instantly capture Fort Rox Weremice. Sunsilver Ballista - Instantly defeats the Nightmancer Mouse. Small Cannon - Decreases the power of Fort Rox Cosmic Critters by 50%. Power Cannon - Provides a chance to instantly capture Fort Rox Cosmic Critters. Energy Cannon - Instantly defeats the Nightfire Mouse. Each upgrade replaces the previous upgrade's effect. Small Moat - Reduces damage your wall receives by 1. Big Moat - Reduces damage your wall receives by 2. Silver Moat - Reduces damage your wall receives by 3. Spotlight Enchantment - Doubles loot drops when Meteorite Piece, Howlite, or Bloodstone is found while the Mage Tower is active. Power Enchantment - Adds a chance to instantly capture any mouse while the Mage Tower is active. Healing Enchantment - Heals your wall by 1 health after every hunt while the Mage Tower is active. Sunsphere Enchantment - Reduces hunts until dawn by 2 after every hunt while the Mage Tower is active. Hunters may choose to retreat from the Night during all phases except Dawn. Any remaining wall health will be preserved, but progress through the night will be lost. "Are you sure you want to retreat?" "You will lose all progress you have made through the night. Your wall will retain any remaining health." The mice found during the Night in Fort Rox are weak only to Arcane and Shadow weapons. Law weapons are ineffective. These mice are primarily weak to Arcane weapons and are found during Midnight, Pitch, Utter Darkness, and First Light. Upgrades made to the Cannon will improve the catch rate of these mice. These mice are primarily weak to Shadow weapons and are found during Twilight, Midnight, Pitch, and Utter Darkness. Upgrades made to the Ballista will inprove the catch rate of these mice. The Dawn Guardian and Monster of the Meteor are found only during Dawn. The Battering Ram Mouse is primarily weak to both Arcane and Shadow weapons and can be found in all phases of the night (including Dawn). This mouse will cause 15 damage to the health of the Hunters's wall on every encounter. This mouse will avoid traps baited with Crescent Cheese or Moon Cheese. The Nightfire Mouse is primarily weak to Arcane weapons and can be found during Pitch, Utter Darkness, and First Light. Failing to catch this mouse will cause 10 damage to the wall. The Energy Cannon upgrade will instantly capture this mouse when it is encountered. The Nightmancer Mouse is primarily weak to Shadow weapons and can be found during Twilight, Midnight, Pitch, and Utter Darkness. Failing to catch this mouse will extend the night by 3 hunts. The Sunsilver Ballista upgrade will instantly capture this mouse when it is encountered. Crescent Cheese and Moon Cheese will attract all mice found during the Night, except the Battering Ram Mouse. Standard Cheese or SUPER|brie+ is required to attract the Battering Ram Mouse. SUPER|brie+ will attract mice at a lower rate than Crescent Cheese and Moon Cheese. Standard Cheese attracts mice at a much lower rate than other baits. Cosmic Critters and Dawn Destroyers are very rarely attracted with Standard Cheeses. The Heart of the Meteor mouse is primarily weak to Arcane weapons, though Shadow weapons can be used to lesser effect. Sunrise Cheese is required to attract the Heart of the Meteor. The Hunter's Fort defenses have no effect in the Heart of the Meteor. Tower Mana cannot be armed while hunting in this phase. To access the Heart of the Meteor, Hunters must acquire 100 Dawn Dust, 1 Fort Rox Portal Core, and 1 Fort Rox Portal Console in order to purchase the Fort Rox Portal Projector. The Fort Rox Portal Projector will allow Hunters to enter the Heart of the Meteor during the Dawn phase of Night. It is consumed in the process, replaced with a Ruined Portal Projector collectible. Fort Rox Portal Cores and Fort Rox Portal Consoles are found as rewards in Fort Rox Treasure Chests and Rare Fort Rox Treasure Chests. They can be traded on the Marketplace. The Heart of the Meteor mouse's power will be depleted with each attraction, to the point where it is a guaranteed catch on the 10th attraction. Capturing the Heart of the Meteor will return Hunters to the Dawn phase of Night. To reenter the Heart of the Meteor Hunters will need to purchase another Fort Rox Portal Projector. Hunters may enter the Heart of the Meteor multiple times without affecting their Wall health or progress in the Dawn phase. The only mouse found in the Heart of the Meteor is the Heart of the Meteor. Sunrise Cheese is required to attract the Heart of the Meteor. Welcome to Fort Rox, recently under siege thanks to the commotion caused by the fallen meteor, the citizens here need your help to fight off the mice that have begun to overrun the area. During the day, things are a lot calmer and the mice will listen to reason, making them vulnerable to Law traps. You will also be able to use this time to build up your resources and defenses in preparation for the attack. You will need to build the Basic Wall before you will be ready to defend your fort. You are gonna have to do your best to hold off the assault on Varmint Valley throughout the night. The night lasts 130 hunts. As you hunt through the night, different types of mice will begin to appear. Make sure you pay attention to the time of night and adjust your trap setup accordingly. Mice will damage your wall if you fail to capture them and some even if you do capture them! If your wall gets destroyed, you will be forced to retreat until day, where you can rebuild and try again. Survive the night and make it to dawn where the toughest mice lie in wait! Many mice in Fort Rox are often found on Fort Rox Treasure Maps. Fort Rox Treasure Chests are the source of Fort Rox Portal Cores and Fort Rox Portal Consoles, which are required for purchasing the Fort Rox Portal Projector. The Fort Rox Portal Projector is required to access the Heart of the Meteor and is consumed in the process. These are the shops that can be found in Fort Rox. 3 November 2016: Fort Rox was released as the third location in Varmint Valley. 15 March 2017: The Heart of the Meteor content is added to Fort Rox. This page was last edited on 25 February 2019, at 14:59.